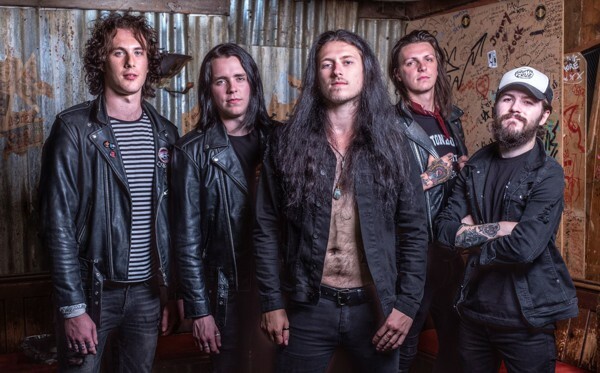 One of the most fascinating young bands out there releases their fourth album, 'Power Crazy', yet another collection of powerful straight up Rock songs that would make you jump from the get go. The release coincides with Mötley Crüe's The Dirt movie, a band they had the privilege to support amongst many other of the greatest Rock bands on the planet. We caught up with original guitarist Tagore Grey to converse about the album, their two year hiatus, their experiences and the changes in line-up, which now bring a new vocalist to the Cambridge group, Tom Rampton, joining Dhan, his brother Tao Grey also on guitar, drummer Dhani Mansworth and bassist Rick "Swoggle" Newman. Every single song on this album is amazing, there isn't a single filler. How did the songs come about? It's been a long time coming. We've taken nearly two years out. We've been about nearly ten years out. We've had a lot of ups and downs and in the last two years we needed to take some time out and really work out what we wanted to do. The songs started coming and I think having Tom Rampton as the new singer, we've gone back to our roots. We decided to go for a really raw Classic Rock sound, which is what we all grew up on. We wanted an album people would rock out to. 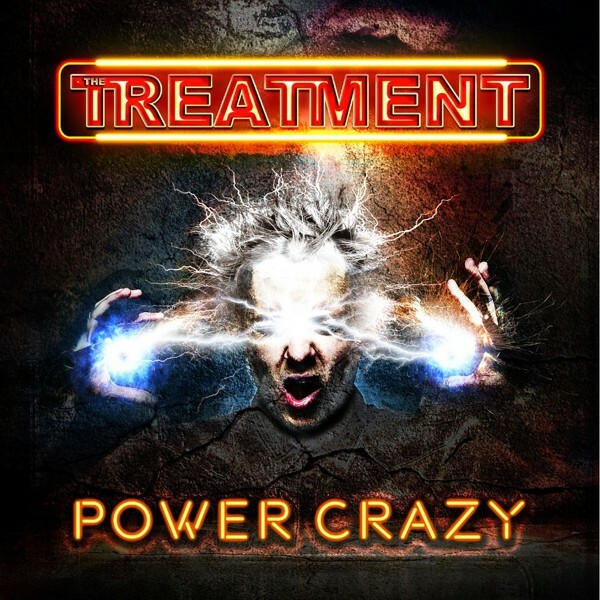 How do you see the evolution from your first album back in 2011 'This Must Hurt' to now in 2019, 'Power Crazy'? You have to remember we've all grown up; we're ten years older now and we want what we want when it comes to an album. I absolutely love 'This Must Hurt', it's an incredible album but I think the song-writing on this one has been brilliant and Tom's voice is the perfect voice. Since the band's conception, three guitarists and two singers left the band. It is a lot of changes in just four albums and less than ten years. Look at Iron Maiden, they had something like 35 members throughout their career ─ you can't always find the right people. We don't look at it as five or six members being through the band. Some of the guys didn't stay that long. We're a touring band and we've had huge dates coming up and we didn't have time to work out or understand how bands work. You have to take five relationships into account. It's not easy to find people that get on straight away; you have to learn to deal with people. Matt Jones was a big part and he decided he didn't want to do it, which was a shame. The other guitarist for me, it's only been my brother, who's been a top of a guy and that's how I see it. Tom has been in the band for some time now, but this is his first album with the band. How did you find him and was it difficult? He sounds amazing! It was actually Dhan who found him. The last album 'Generation Me' was brilliant, but towards the end of the touring cycle we just knew it wasn't going to work between us and Mitchel Emms so we decided to part ways. Dhan found Tom on YouTube. He was in a local band and we loved his voice from day one. But our main thing was to hang out and get on as people, not just jump straight into it, and see if it was really going to work, which is why we took so long out. We wanted to have him on the long haul to make sure it was the right person to do the job. Is he part of the writing team? Did he contribute anything in terms of writing for the album? Yes, he contributed a bit but a lot of it was done before he came along. But he definitely put his spin on it. Without his vocals it wouldn't have been anything as amazing as it is. Every single part of it is magic. I think it all has come together at the right time. Do you think this will be the last final singer for The Treatment? It will be! We've found the perfect partner and this is just the start. I can't wait for the next album as it's going to be even better. This is a great, great team. Do you and the rest of the band see Dhani as the leader of the band since he is the son of Laurie Mansworth, who is also the band manager? Dhan is the band leader, the son of Laurie and they put the band together. It's their idea. How is it for you to play in the band with your brother? For me he's the true guitarist. Me and him get on amazingly, we grew up together and we have an unbreakable bond together. Playing in the band is like having four brothers. I noticed there are no ballads on this album. Was that intentional because you wanted party songs? We just wanted to recreate this great energy. From the moment you press play to the moment it finishes we wanted straight out head-banging. We've got some great ballads but that's not where we wanted to go on this album. The album was recorded and mixed by Tony Newton. Do you think the mixing is a really important part of the final product? Yes, 100% mixing is as important as the playing or the songs. Everything has to come together at the right time and I think Tony got it so right. He's an incredible mixing engineer and he's been working for Iron Maiden for a long time. With this one, he just nailed it, completely got what we wanted. It couldn't be better. Throughout your career you supported some of the biggest Rock bands such as KISS and Mötley Crüe. What is your highlight as a band supporting bigger acts? We've done so many incredible ones. I loved a tour with Aerosmith and Alter Bridge, it was amazing. Steven Tyler's voice is just out of this world, but I think for us being 20-21 and going out to America for the first time and opening for gigantic bands like KISS and Crüe is a dream come true. We learned so much. Also going to Australia and getting to play places where my favourite band, AC/DC, first played, retracing some of steps, like seeing where Angus and Malcolm grew up. For me they are the biggest highlights, Rock history. You're doing a few dates in the UK, co-headlining with Airrace in March and then in May your own headline tour with Big Foot (who are calling it a day). What is the plan for the rest of the year? At the moment we have a lot of festivals throughout the summer. We're going to Russia for the first time, a new territory that is opening up for us. It's a hard business for a young band to be in but we are not going to quit so we are going to make it work. You have to put every bit of energy, drive and money into making it happen. So our biggest thing is to tour as much as we can, get out there and get our music back on the scene. We spent two years sitting around doing no touring so we are ready for another challenge and to get back out on the road. I've seen you live quite a few times and it always amazes me how great you are. The sound is always amazing, the energy is just spectacular and I wonder if on this tour you are going to do any covers as you have done in the past. We have occasionally put on some covers but at the moment the biggest thing for us is being able to play new material. Now that we are releasing this album, we can't have Tom singing someone else's songs, we can play this material. We've always have fun doing covers every time we get to rehearsals, that's how we started, but we've never been a band that plays cover songs. I don't think we need to. I believe our songs are better than anyone else's, so why wouldn't we play our own songs? That's the right attitude! What were you busy with in the last couple of years? Me and Laurie have been doing his Airrace album, then we wrote the Treatment album straight after, and then just focused on being a band, getting on with each other. Tom came down to live here in Cambridge for a bit. I am curious to know if you are you looking forward to seeing The Dirt movie since you've toured with Mötley Crüe. It's quite amazing it comes out on the same day as the album. After watching Bohemian Rhapsody I love the fact that band stories are getting into mainstream. It's great publicity for Rock bands and I can't wait to see it. Thank you for checking out the band and if you haven't make sure you check it out. The album is coming out on the 22ndof March. A new video for 'Hang Them High', which is the third single we've released, has just come out as well.